I think we are slightly addicted to potatoes. Anyone with me?? Too bad they aren’t as low calorie as celery. LOL. 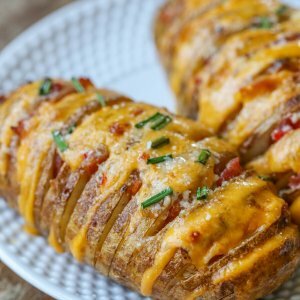 I know I post quite a few potato recipes, but it’s only because we love to serve them and love to change them up for different meals. Today’s recipe is a new one that we only tried for the first time last month. I had seen them on the web for quite some time now and just never made the time to try them. So glad we finally made that time because these Cheesy Hassleback potatoes are a new favorite!! 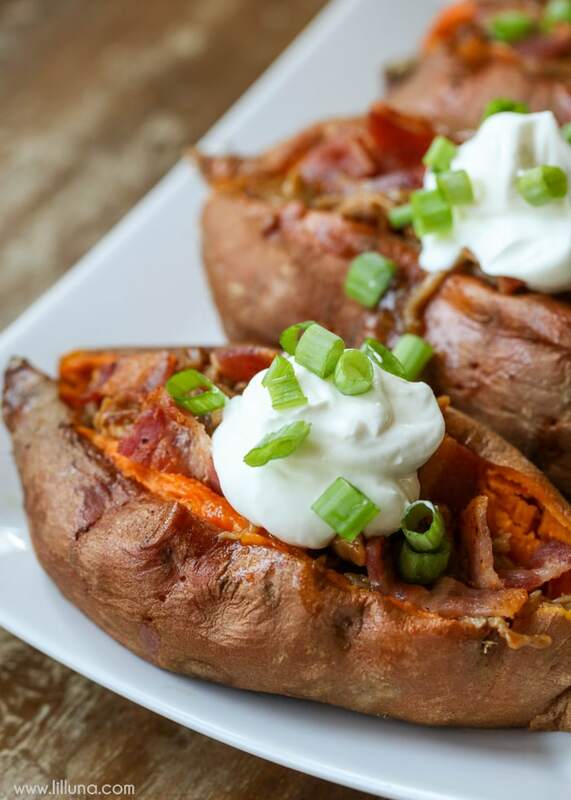 They’re stuffed with cheese and bacon which make them pretty irresistible. 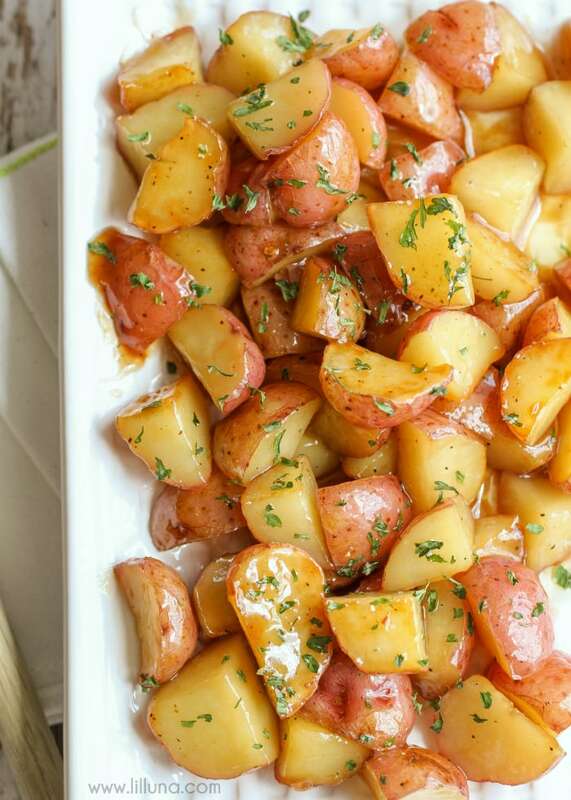 These potatoes are also drizzled in Italian dressing and Parmesan cheese which adds so much flavor. Although we didn’t serve these with sour cream, we probably will next time, because we love the potatoes + sour cream combo. The hubby suggested we add some pork in with the cheese and bacon and I think that would actually be a great addition. 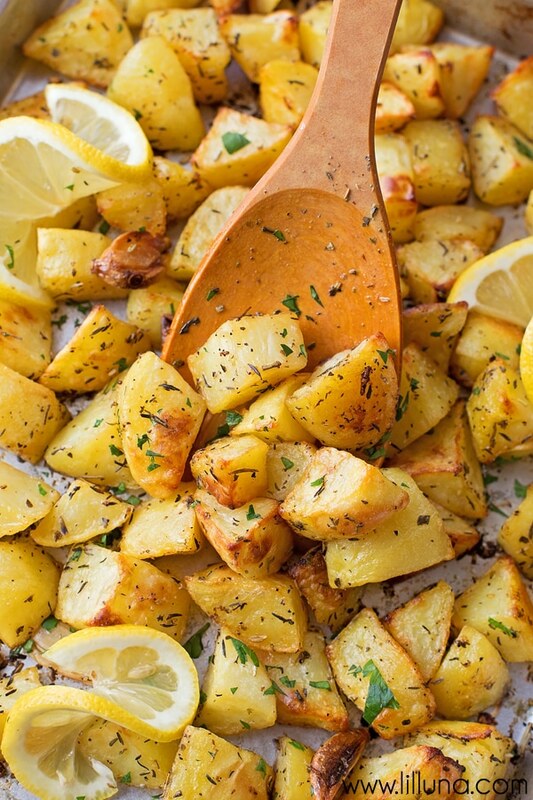 With or without the park, these potatoes are delicious and I think you’ll LOVE them! 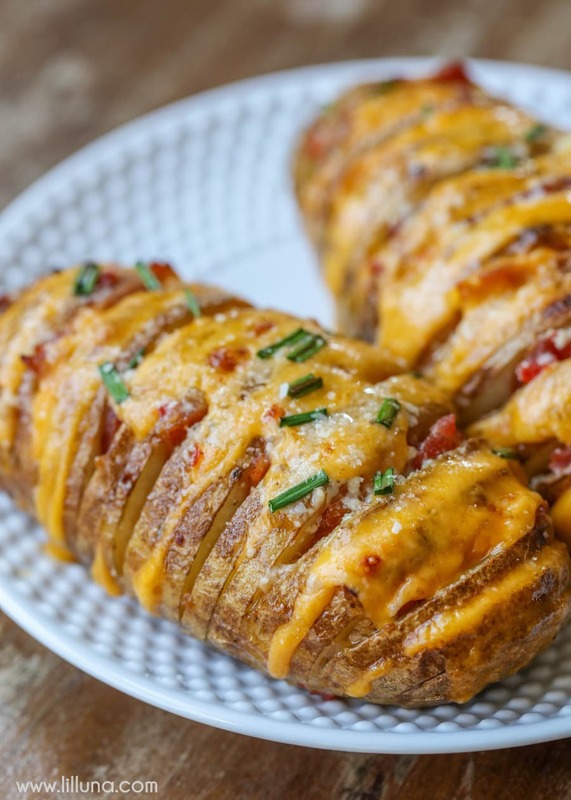 Cheesy Hasselback Potatoes stuffed with cheese, bacon and so much flavor. 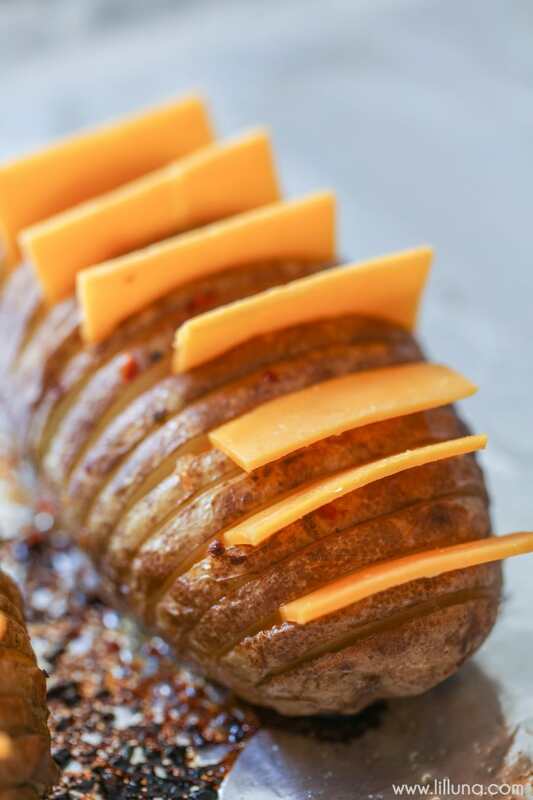 It's one of the yummiest ways to serve potatoes. 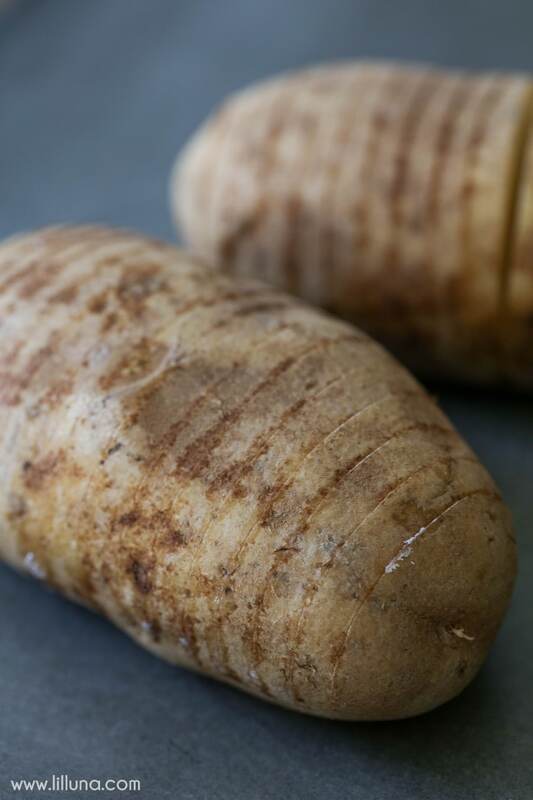 Cut a thin, lengthwise slice off the bottom of the potatoes so they will not roll. Cut potato crosswise without going all the way to the bottom. Do this for all the potatoes. Microwave for 10-12 minutes. 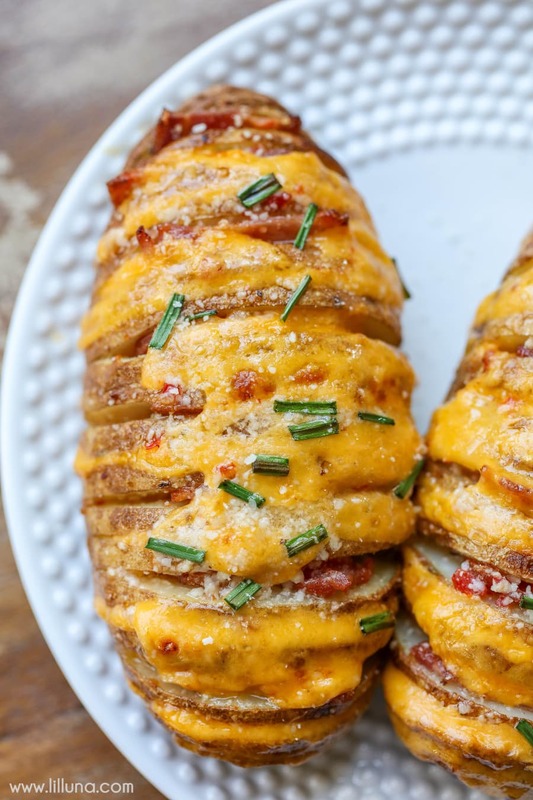 While broiler is heating up add cheese slices in every other potato slice and bacon in the other slices. Combine remaining Italian dressing and Parmesan and drizzle over potatoes. Top with chives and broil for a few minutes. Serve warm and ENJOY! Cut thin slices making sure not to cut all the way through. 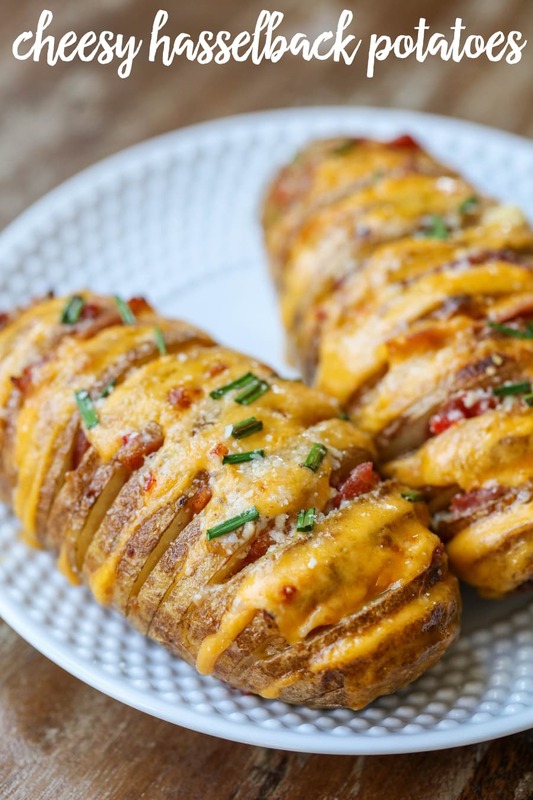 This is definitely the recipe to try if you are also a potato lover. They’re AMAZING! For all side dish recipes on the site go HERE. Thank you!! They taste amazing! Omg!!! My new favorite potato. This is definitely on my at least every other week menu! CAN’t wait to go home and make this fir my dad! It was awesome!!!! Thank you!! !